"I was shocked how responsive Elite Merchant Systems was in integrating our new merchant account with our front desk system. Not only did we get a much better rate, finally we have a vendor that understands our industry." "We used to use our gas distributor to process our credit card sales. 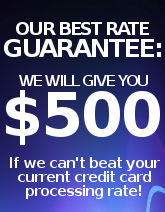 We contacted Elite Merchant Systems to see if we could get a better rate. They saved us money and now we get our sales deposited every day. We also have less problems with our pay at the pump system." "About a month prior to opening our store, I spoke with my local bank about a merchant account. I was told to call their sales office. After leaving multiple messages, I went to the yellow pages and found Elite Merchant Systems. They were very professional and had us up and processing by the end of the week. Additionally their pricing on the equipment and the processing was better."